The Pull Buoy has been around for years, the original thought was that if you isolate the legs and only use the upper body then this area will become stronger, this is true. 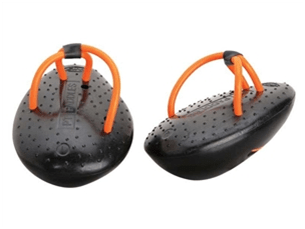 Pull Buoys can be used for a whole range of drills, skills and training types, and are a great way to break up your swim training program. There are many different types but all of them do the same thing, if you’re a younger swimmer then make sure you use a Junior Pull Buoy an adult float will affect the position of your body and this will affect your stoke, Junior Pull Buoys are half the size of the adult float. Again the Kick Board was originally designed to isolate the legs, this in turn will improve leg kicking power and strength, there are many ways to do this but using the Kick Board is one of the most recognised. 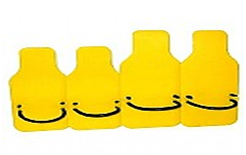 There are many shapes and sizes now from Sprint Kick Boards to the regular shaped Kick Board. 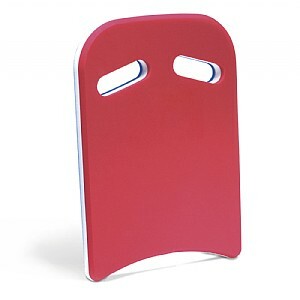 Sprint Kick Boards are designed to maximise the speed of the swimmer during a quality kicking set. Hand Paddles have a wide range of uses including improved strength gains in the upper body and improvements in the front end of the stroke and technique. Again there are many different types, large, medium or small. Extra care should be taken when using Hand Paddles as they can put additional strain on the shoulders, this in turn could lead to shoulder injuries; also using hand paddles at two young an age may well just be too risky. Follow this up with a steady 400m front crawl swim. If you are thinking of using Hand Paddles try them in small amounts, a week on then a week off for a month or two. As you find your skill or strength improves incorporate them into your swimming training program. If you’re a competing triathlete you may want to only use Hand Paddles in the off season, to build additional strength or skill. In contrast to most swimming paddles on the market the potato shaped PT Paddle is intended to reduce resistance, and hence help you improve your catch and feel for the water, rather than increase your strength by forcing you to apply more power to the water. You can get a similar effect by swimming with a clenched fist. Many coaches talk about the importance of the 'catch', this vital first part of the stroke that is often over looked but is undoubtedly the most important part of the underwater phase. 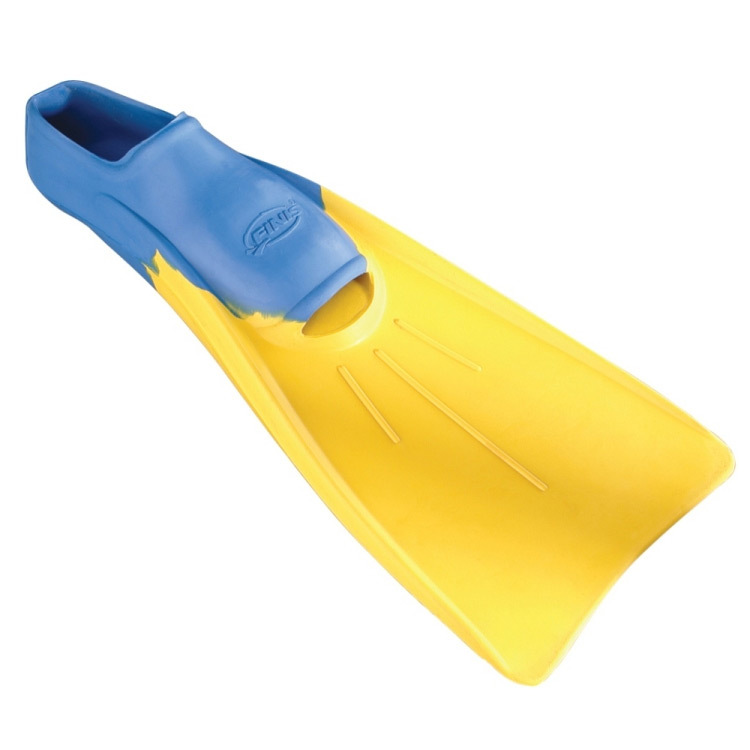 Regular use of the Finis PT paddle will aid in the development of your catch and feel for the water. Improving your feel of the water will also lower your stroke count (i.e. increase your distance per stroke) while an improved catch can help maintain your stroke rate. Swimming speed is a function of both distance per stroke and stroke rate. Use of PT paddles should also help you achieve what is known as 'early vertical forearm', which means you hand is pushing backwards and generating propulsion rather than downwards. You can add it to any training set, its best done after a good warm up i.e. 8-10 minutes. 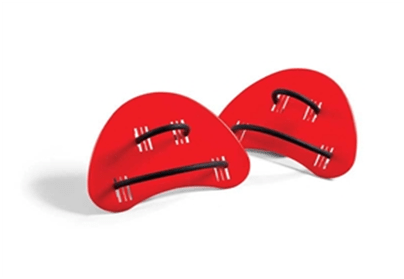 Finger Paddles are a great little asset to your swimming training, if you’re keen on improving the feel and catch of your stroke they can help tremendously, there very cheap to buy and once you’ve got to grips with them can be a great technique booster! The paddles heighten stroke awareness and emphasise stroke imperfections, making it easier to identify and correct technique. Sculling with paddles is a great way to build forearm and finger strength by accentuating the entire stroke from entry to finish. Try this once a week at least, it can be added into any training program. The Arm Paddle is also a great bit of swimming kit, this type of paddle will aid the front end of the front crawl stroke, and you can gain additional skill in the press phase of your stroke. There are many types of resistance training, using resistance cords can be a great asset for any swimmer wishing to gain improvements in their swimming strength. Resistance Cords can be used to isolate a muscle group or in the case of the PowerStroke Cord give you an all over swimming workout on the land if you can’t get to the pool as often as you like. 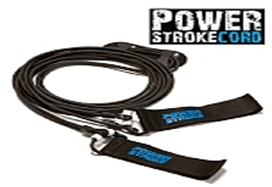 The PowerStroke Cords work in the same way as the swim bench only at half the cost! If you’re suffering from an injury and can’t swim then Resistance Cords can be a useful tool on the road to recovery. Take some advice from a well qualified coach or sports therapist with regard to correct use. 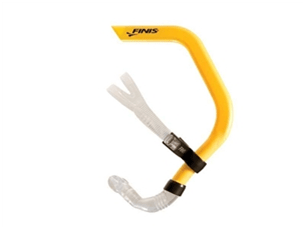 Snorkels can be used for improvements in technique and focusing on stroke development, they can also be used for kick sets helping to maintain a good body position with head down kicking sets.